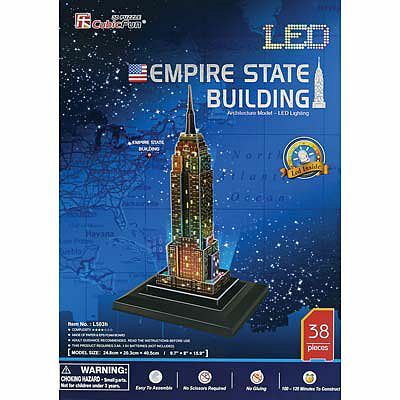 This is the Empire State Building 3D Puzzle with Base and Lights from Daron Worldwide Trading. Suitable for Ages 7 and Older. Retail $22.50 SAVE 20% ! Made of paper and eps foam board. No scissors or glue required. Booklet on the history of the monument inside.